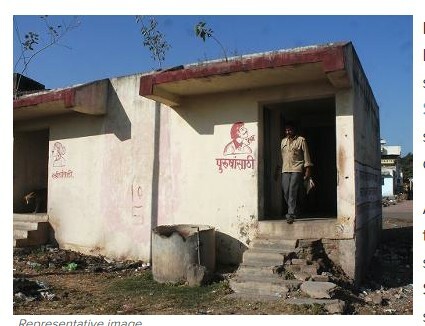 BHOPAL: Madhya Pradesh has a long way to go in its sanitation drive under the Swachh Bharat Mission. The state lags on issues like open defecation. As many as 43,392 villages of the 52,000 villages in the state still practice open defecation. State government under the swachh mission declared 8,608 villages as open defection free in the current financial year, as per the latest figures released in state economic survey report tabled in assembly, on Tuesday. The state aims to meet the ODF target in the next three years. Under the Swachh Bharat Mission (rural) the state aims to make toilets in 1.22 crore houses by the year 2019. It will lead to 22,825 gram panchayats and 52,000 villages open defecation free. To ensure local partition in the mission, a force of 10,000 trained local residents have been roped in by the officials. Their task is to motive people to not to practice open defecation. Collectors are working as the mission leaders and they too are being motivated by the government for the task. Further, to the make the villages clean and create a hygienic environment, 3,000 gram panchayats have been proposed to set up solid and liquid waste management in the current financial year, the report said. In the state till December 2016, a total of 60.74 lakh houses holds have toilets. A sum of Rs 1,450 crore has been spend for the purpose, stated the economic survey report.